IGA Cookout– The ever popular Rib eye sandwiches and this week the proceeds go to help St. Peters Lutheran Church in Melvin. 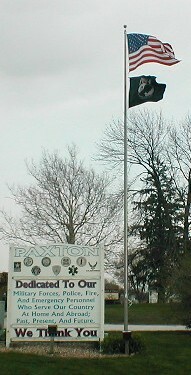 Volunteers Needed for American Legion and VFW in Paxton to help place Flags on Veterans grave site at Glen cemetery in Paxton. Volunteers are asked to meet at the Gazebo around 9:00 am Saturday May 28th. There 900 veterans graves so lots of help is needed.